 Jack and Alice Clayton (Lord and Lady Greystoke) are shipwrecked on the west coast of Africa in 1885. Alice dies soon after childbirth and John is killed by a band of apes that live nearby. Their young baby is adopted by Kala, a female ape whose young one has died recently, and the white-skinned child grows to maturity amongst her troop, learning the savage ways of the jungle (above). Kala is shot and killed by local pygmies' arrows and Tarzan, in a fit of rage, kills one of the natives. When Tarzan is an adult a group of scientists from the British Museum arrive in his jungle to collect specimens and one of the group, Phillipe D'Arnot, a Belgian (right), is badly wounded by the hostile pygmies' arrows. Tarzan nurses him back to health and they develop a close friendship as D'Arnot teaches Tarzan to speak English. 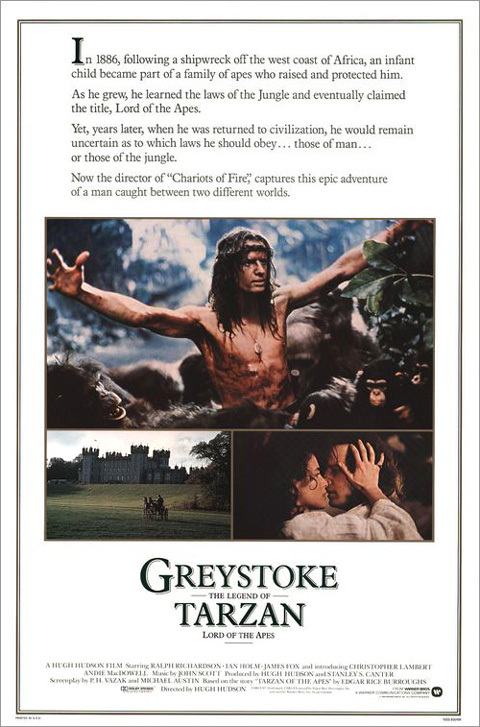 D'Arnot realises Tarzan's origins and persuades him to return to England where Tarzan meets his kind and loving grandfather, Lord Greystoke, who lost his son many years before. 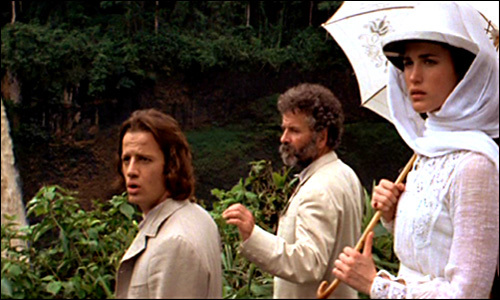 Tarzan becomes John, or Johnny to his grandfather, and falls in love with Lord Greystoke's American ward, Jane Porter (right). Jane is betrothed to Lord Esker, a pompous aristocrat and her growing affection for John infuriates Esker. Old Lord Greystoke is killed while indulging in a childish prank sliding down the staircase. Soon afterward John is attending a dedication ceremony at the English Museum and is instinctively drawn to a laboratory where live apes are kept captive. One of the apes is Silverbeard, Kala's mate - or Tarzan's ape "father". John frees the old ape and they frolic in the nearby park until the London constables arrive and shoot John's companion. 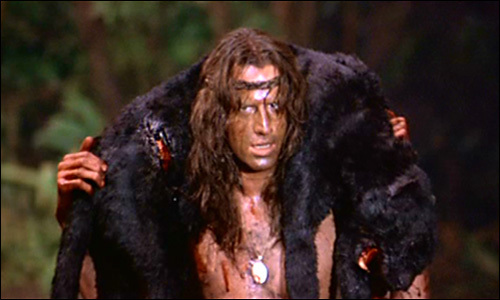 Distraught and disillusioned by civilisation, John decides to return to the African jungle he loves, sacrificing his love for Jane for a quest for his true self, the primitive savage (above).